When you are preparing for a move or in the process of moving, there isn’t always enough room to store your unneeded belongings. Whether you are downsizing to save some money, staying in a smaller space until construction on your new home is completed or just want to free up some space, Two Man Movers has solutions for your storage needs. Two Man movers are a family-owned and operated moving and storage business located in Salt Lake City. 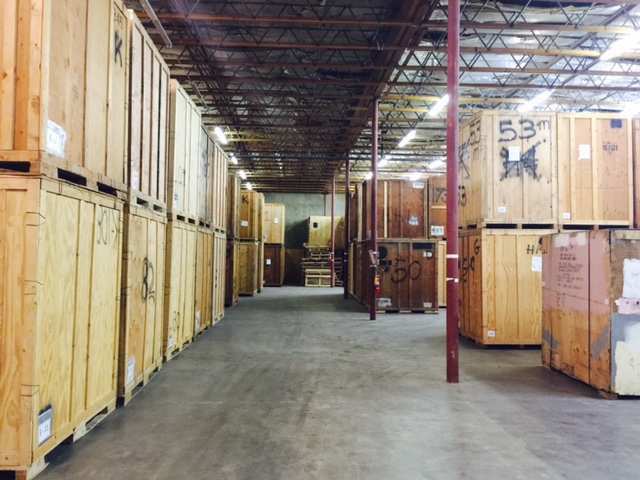 They have been providing reliable and affordable warehouse storage to the residents and businesses of the greater Salt Lake City area since 1999. Two Man Movers offer climate controlled, military approved private warehouse type storage; which is cheaper than traditional, at $5.00 per hundred pounds. These containers are safe and secure; providing you with peace of mind when you store your belongings. You can rest assured that your household goods and business assets will be protected in their secure storage facilities. Whether you are storing furniture, boxes, important records/files, fragile electronics or office equipment, Two Man Movers & Storage have space for you. Although Two Man Movers & Storage offer incredible storage solutions, they do much more than that. Their crew of professionals can also help you pack your belongings, move them in, and help organize your belongings to free up space. Their experienced staff works diligently to uphold a meticulous system of organization; making your belongings easily accessible when it’s time to retrieve them. Two Man Movers offer warehouse storage facilities in Park City and Salt Lake City are cleaned daily, keeping your belongings free of dust and debris. Their storage containers are protected by a sophisticated alarm system to prevent unauthorized entry and to ensure nothing is lost or stolen. Warehouse storage is also great for out-of-season holiday decorations or inventory for businesses. Don’t let unused items take up space and clutter your home or office, put your belongings in Storage where they are out of the way and kept safe. Utah is home to one of the largest ski resorts in the world and makes it a top destination vacation spot during the ski season. Because of this, seasonal property rentals are quite popular during the winter months making it a great way for Utah residents to earn extra revenue. When renting properties out, it is important to consider storing personal furnishings and other belongings. This will allow them to remain unused and undamaged. In addition, many property managers also need help moving their furniture and other belongings into a secure storage space. It’s extremely important that furniture and other items are kept clean, dry and in a climate-controlled facility to ensure safekeeping. It is important to understand how temperature affects furniture, home appliances, musical instruments, and electronics. In order to work properly, these items must all be kept out of extreme temperatures. The amount of damage some items can sustain from exposure to extremely cold weather can be surprising. If left outside of a climate-controlled environment, items can experience cracking, warping, rust and other forms of permanent damage. It is also important for collectors to be especially cautious during the winter months. Coins, comics, stamps and wine can all experience premature aging if left exposed to improper temperatures or moisture. Prepare now and prevent your property from undergoing any form of weather-related damage. Call Two Man movers for all your moving & storage needs at (801) 997-9947 and get your free quote today!